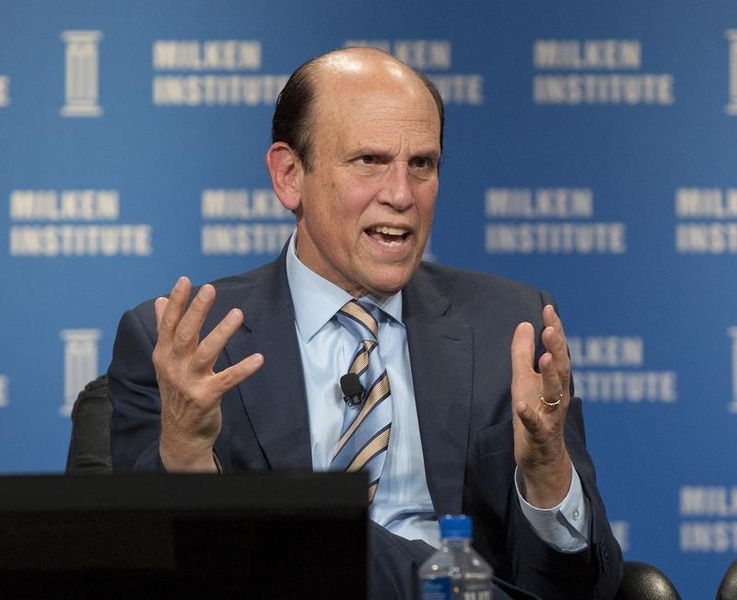 Michael Milken’s latest ball was notable for its lack of predators. The financial elite prowling Beverly Hills at the behest of the former Drexel Burnham Lambert boss whinged about everything from a slowing Middle Kingdom to hacking threats to stock price valuations. Three former Treasury secretaries lamented a dysfunctional Washington. When it came to the subject of mergers and acquisitions, however, animal spirits ran unanimously wild. Sessions at the Milken Institute Global Conference like “Reform in China: Growing Pains for a Global Power” and “Cyber-Security: Protecting Companies and Citizens from Assault” lived up to their ominous-sounding billing. Fears about Greece, Europe, emerging markets and the U.S. Federal Reserve’s uncharted path out of its longstanding zero-interest rate policy also wafted throughout the halls and ballrooms of the same Beverly Hilton where the junk-bond king once hosted his Predators’ Ball in the 1980s. Buyout barons fell in with the cautious tone of the conference, however. Apollo boss Leon Black, for example, said over the last two years his firm had sold about four times as much as it had bought and cautioned that “markets across the board are priced to perfection.” TPG’s Jim Coulter said private equity simply would have to play the hand it was dealt: in his assessment, a pair of sixes. Those are lousy cards against corporate buyers playing so aggressively. The 2015 Milken Institute Global Conference takes place April 27-29.